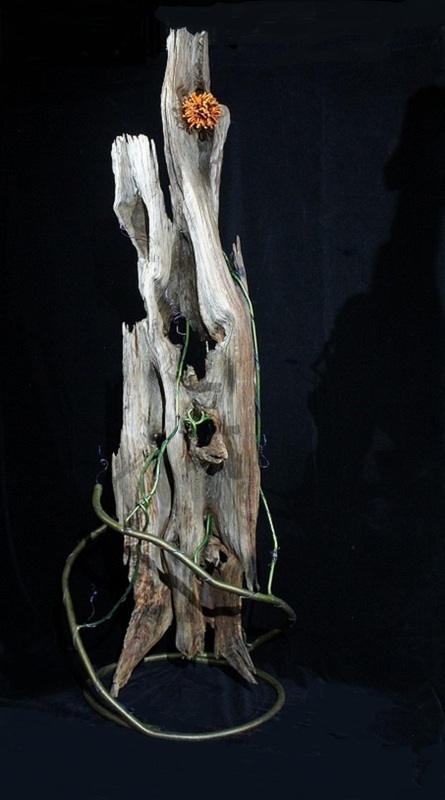 This organic sculpture is a lovely piece of Eastern Aromatic Red Cedar depicting the Apple Rust fungus. 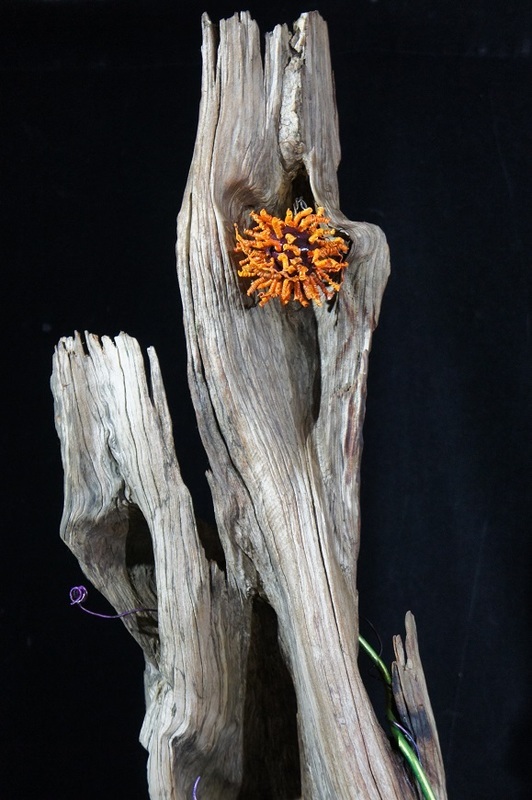 Apple Rust "blooms" for about 10 days a year, but only if the Cedar is carrying the fungus. Most people don't know of its existence, it is quite pretty. This Cedar was once alive on our family property in Georgia.